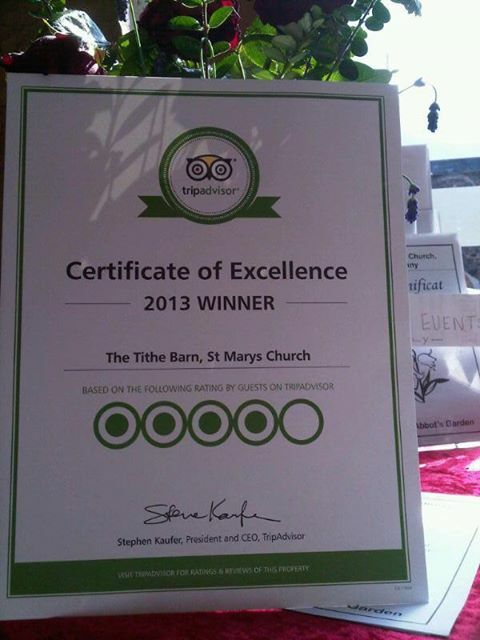 Not only is the sun shining but also The Tithe Barn has today received a 2013 Certificate of Excellence from Trip Advisor. Only the top 10% of establishments achieve this based on visitor feedback. As you can understand we are extremely proud..